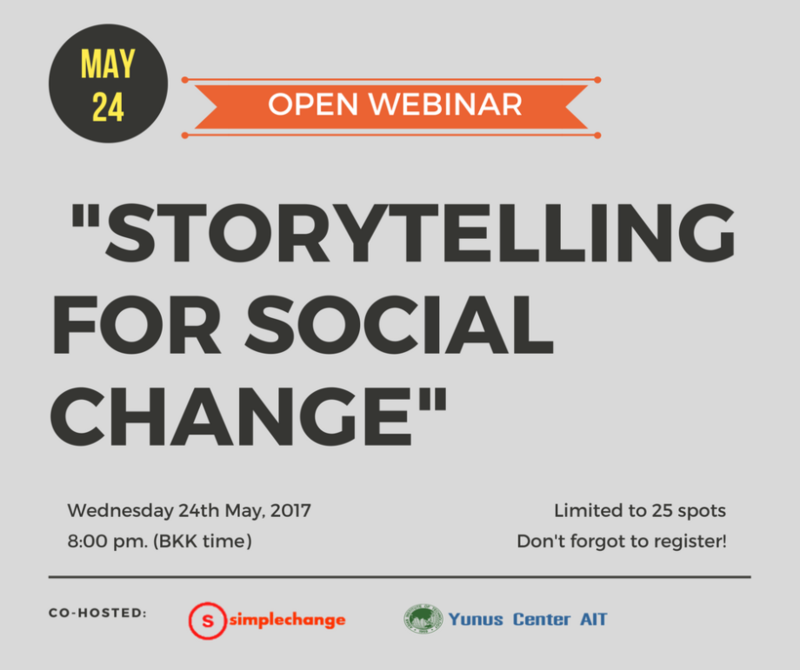 This session aims to explain, understand and develop the concept of storytelling and its real life application applications to move forward the objectives of a social change initiative. NOTE: This is a free workshop and limited to 25 spots. Register and save your seat: http://bit.ly/storytelling_webinar_registration. Facilitated by Simple Change, an organization which is passionate about the power stories have to drive change. Collaborating with other organizations by co-creating storytelling strategies based on the objectives they want to fulfill.